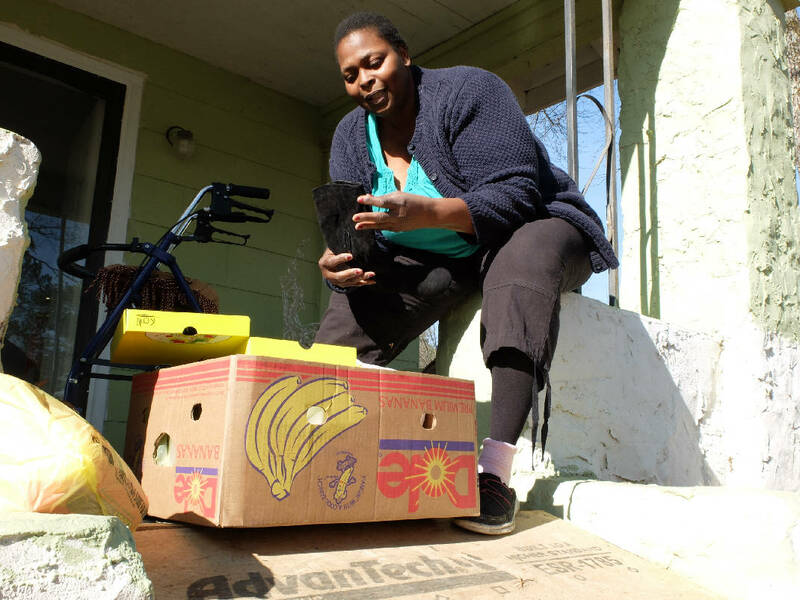 Sonya Burrell, 46, sits on her front porch Wednesday near Highway 58, where she recently received assistance for her electric bill. Osteoarthritis left Sonya Burrell in so much pain that she had to stop working. That led to the 46-year-old mother and grandmother sleeping in homeless shelters and from couch to couch for two years, but this year she got the house of her dreams. It's a two-bedroom home on a huge piece of land in the Highway 58 area. The house has an open floor plan that makes the rooms easily accessible in her walker. She credits God for her home. "Look at the house I'm in. Look at the land I'm in. He may not be on my time, but it's on time for him," Burrell said. 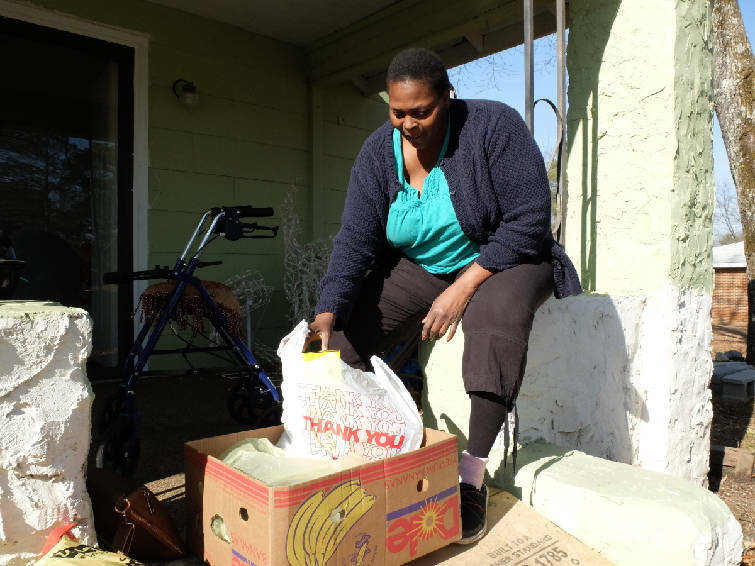 Neediest Cases helped her this month with $192 to pay her utility bill. Burrell and her granddaughter are one of 170 families the Neediest Cases Fund has helped this year. Chattanooga Times Publisher Adolph Ochs started the fund in 1914 to help local people in financial need. He shared the needs of local residents in the newspaper during the holiday season and the charity provides the opportunity for readers to help support their neighbors. Readers contributed $68,000 that has been used to help people this year. The United Way of Greater Chattanooga manages the fund, screens recipients and issues money. The fund is intended to help during emergency situations when residents can't get help from other resources. Burrell worked 30 years caring for the ill and elderly as a certified nursing assistant before osteoarthritis began to overtake her. She worked her last six years wearing back and leg braces trying to continue her duties. But eventually her limbs locked and she had to stop. She now uses a walker and has custody of her 6-year-old granddaughter. She sat in a chair in her home on a December afternoon sharing about how she got her house with a Housing Choice voucher and how Neediest Cases helped her keep her utilities operating. "It's my faith, baby," she said. "The whole time I was going through, God was my rock." Caseworkers from Grandparents Raising Grandchildren and Family Promise of Greater Chattanooga also helped Burrell when she was homeless and soon after she got her home. Neediest Cases makes a difference, said Mary Ellen Galloway, executive director of Family Promise of Greater Chattanooga. Her agency has used Neediest Cases to help 16 clients this year. The fund helps with rent, utility bills and occasionally mortgage payments. "It really helps us to help people stay housed," Galloway said. Normally Burrell pays all her bills with the child support she gets and help from her oldest daughter, who works in catering and housekeeping at a local hotel, but this month her daughter was relocating and couldn't help. Burrell said every once in a while she may shed tears, but the discouragement doesn't last long. "I don't panic," she said. "I put my all my trust in him and he takes care of your needs, and I'm proof being in this house."